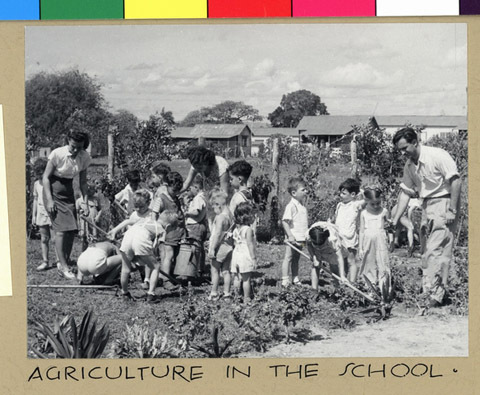 JDC - Archives : Young students learn to garden. Search > Search Results > Young students learn to garden. Title Young students learn to garden. Description Refugee children of Sosua working in a vegetable garden with adult supervision.